Alvhem is a site where you can find Swedish homes for sale with lovely styled interiors like these ones. It is a truly unique brokerage concept where they convey housing as a entire lifestyle using photographers and an art director to help sell your space. They also have a interior design shop... very interesting concept. I would love to see this catch on, because it is incredible to see what a little styling can do to a place. How lovely, the last image is my favorite, I wouldn't say no to moving in there. it looks like a dollhouse! so perfect! 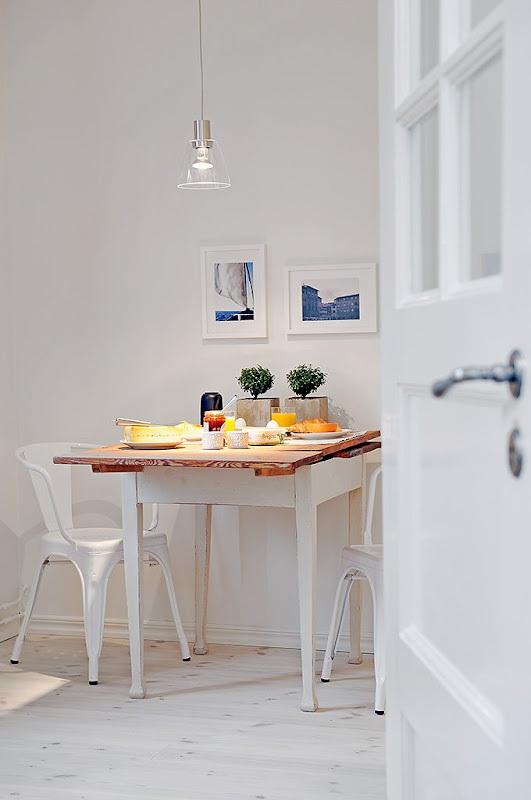 I need to adopt the Swedish style in my home, it's clean yet fun + colorful. 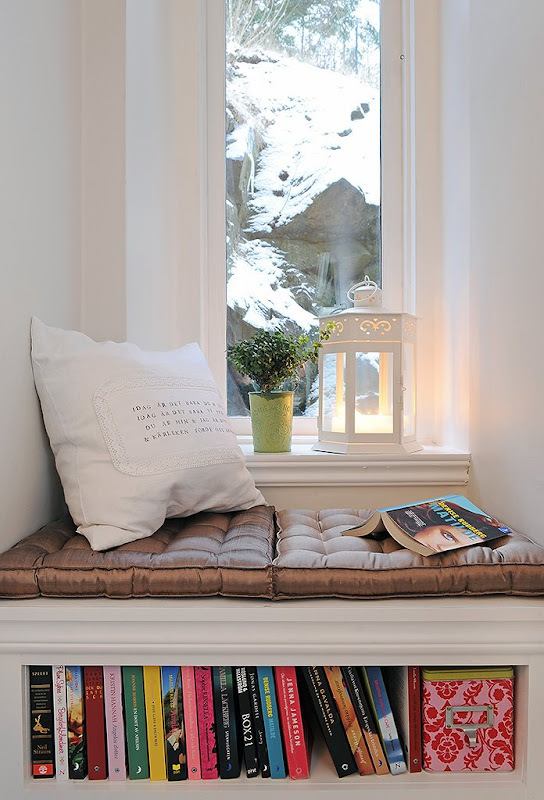 Ohhh that reading nook is perfection! It feels so warm, wide and open... it surely helps to sell it out, no? I am PASSIONATE about Swedish interiors so this is especially captivating to me. Thanks for sharing! I think I could just move right in. So beautiful. This is it. This is how I want my home to be. 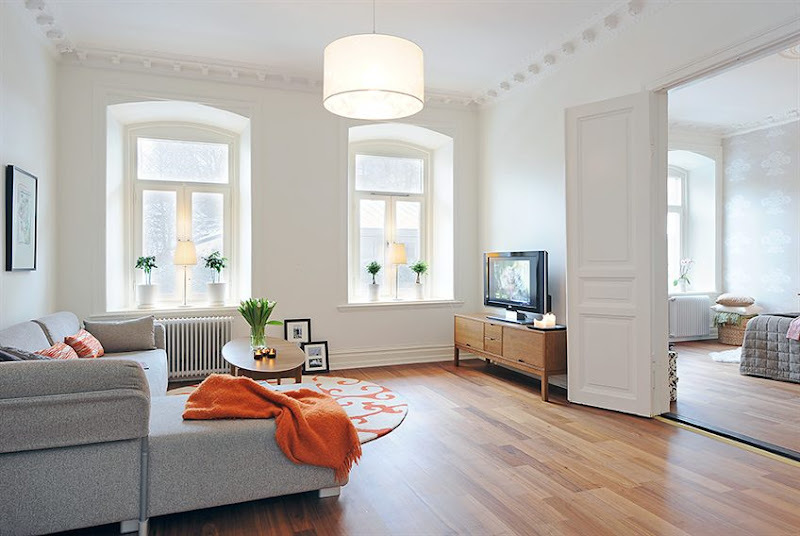 Beautiful floorboards and white walls with simple furnitures! these pictures are just wonderful! !